Recycling in multifamily dwellings is great for the residents and can benefit property managers as well. Although the City’s Refuse Division usually does not service multifamily dwellings over 4 units, there are ways to begin recycling if you live in a large multifamily building! If You’re A Resident, Be The Recycling Advocate! Talk to your property owner or management company about the benefits of recycling. Potential cost savings as trash decreases and recycling increases. Attract new tenants and retain existing tenants with the perk of onsite recycling. Ability to promote their “green” efforts. Volunteer to educate your neighbors if a recycling program is started. 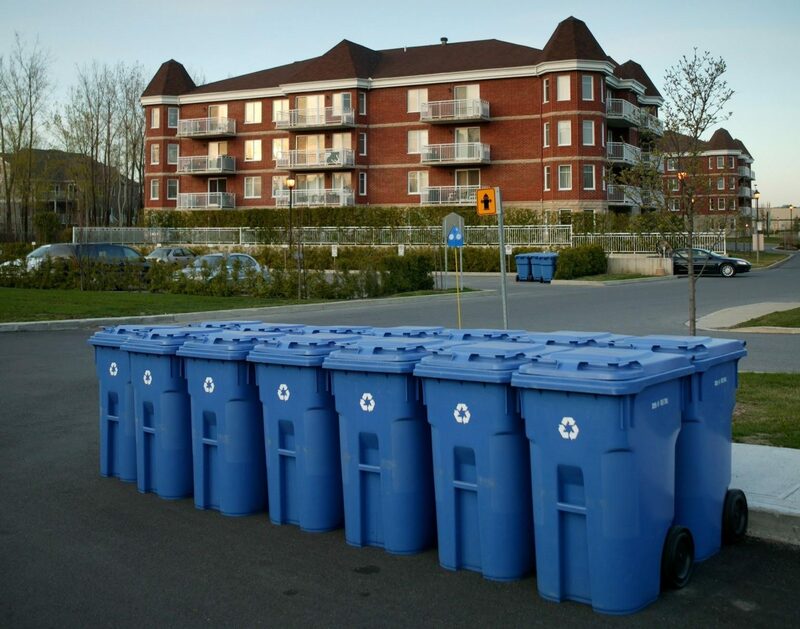 If you expected a recycling service upon moving in, there are most likely other residents who expected the same. Find them and work together! If you want to begin recycling before your building adopts a program, consider using one of the City’s many recycling dropoff sites or bringing your recyclables to Brightside’s Recycling Center located at 1660 S. Kingshighway 63110. If You’re A Property Owner Or Manager, Start Recycling In Your Building! Often the company who picks up your trash offers recycling pickup services as well. You may even be able to save money on your waste hauling service as recycling increases and trash decreases. Contact your trash hauler to see if they have recycling services available. If you need help finding a recycling hauler, review our Recycling for Businesses, Institutions and Nonprofits page. 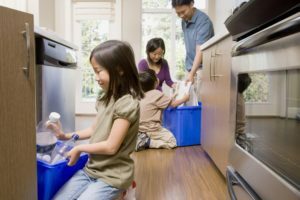 Each property is unique, so consider how residents take out their trash currently and determine if this process can be adopted for recycling. If your building has trash rooms or trash chutes on each floor, consider placing recycling containers nearby or designate an area for recycling. You can even retrofit your trash chute to direct trash and recyclables into separate dumpsters when they reach the bottom. 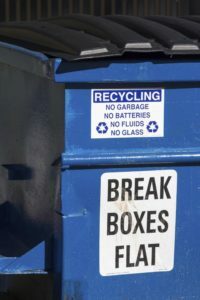 Most multifamily dwellings are able to add an exterior recycling dumpster next to their trash dumpster where residents can empty their household recyclables. Work with your recycling hauler to determine what type of collection service will best suit your property’s needs. Promote recycling as a perk of your building to attract new tenants and retain existing tenants. Include your “green” practices (like recycling) in your marketing materials. Provide a “How to Recycle” brochure to all new residents upon moving in and semi-annually afterwards. Residents need to know the why, what, where and how’s of recycling in your building. Your recycling hauler should provide you with an accepted materials list. Be sure recycling collection bins or areas are clearly marked and have sufficient signage. Continue recycling education with tips and facts in residential newsletters, annual mailings, bulletin boards, etc. If your building hosts events for residents, implement waste reduction practices and choose recyclable materials. Check out how to Close the Loop. Adopt sustainable practices in your own property management office. Visit our Recycle at Work page to begin learning how to reduce, reuse and recycle at your workplace.